All Services San Remo is your Italian superyacht Agent at your disposal 24/7 offering a full professional service throughout Italy and the Mediterranean. They specialise in Port Bookings, Documents/Clearance, VIP Chauffeur Service, Helicopters & Private Jet Hire, Hotel & Leisure Reservations, Provisioning, Technicians & Spare Parts, Bunkering and much more. They guarantee superyacht Captains and crew the certainty of trouble free yachting for their owners and guests, even with the most unusual last minute requests. 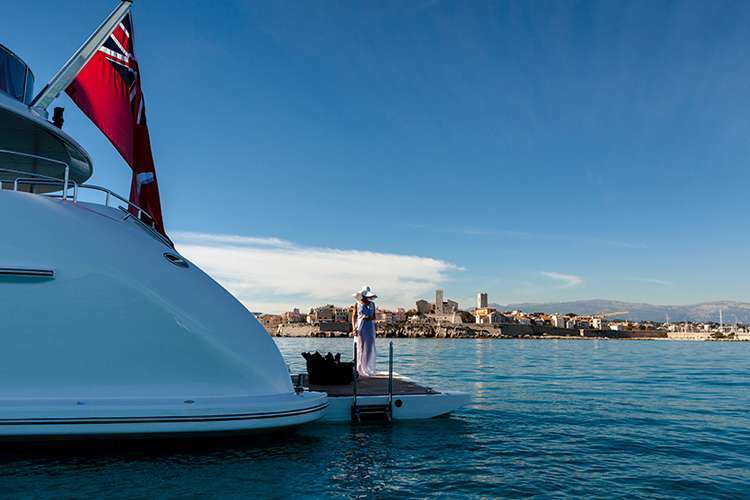 All Services in San Remo is your Italian superyacht agent at your disposal 24/7 offering a full professional service throughout Italy and the Mediterranean. They specialise in Port Bookings, Documents/Clearance, VIP Chauffeur Service, Helicopters & Private Jet Hire, Hotel & Leisure Reservations, Provisioning, Technicians & Spare Parts, Bunkering and much more. They guarantee superyacht Captains and crew the certainty of trouble free yachting for their owners and guests, even with the most unusual last minute requests. 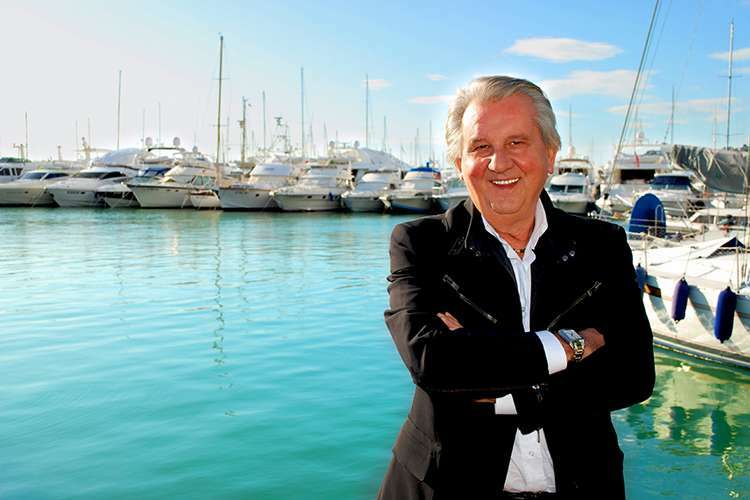 All Services was founded by Dr. Alessandro Sartore in 1980. Two generations of Sartore family now work at All Services, supported by a team of more than 30 professionals working in the headquarters in San Remo on the Italian Riviera, and out of their 14 other offices within the AS Network. 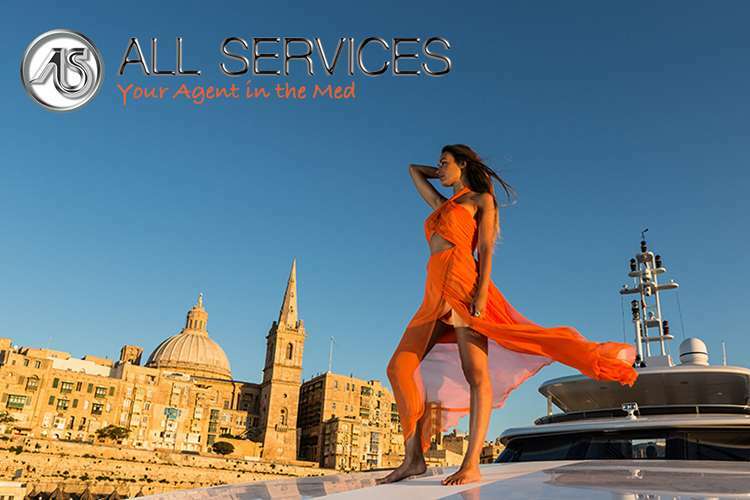 All Services Naples is your Italian superyacht Agent at your disposal 24/7 offering a full professional service throughout Italy and the Mediterranean. They specialise in Port Bookings, Documents/Clearance, VIP Chauffeur Service, Helicopters & Private Jet Hire, Hotel & Leisure Reservations, Provisioning, Technicians & Spare Parts, Bunkering and much more. They guarantee superyacht Captains and crew the certainty of trouble free yachting for their owners and guests, even with the most unusual last minute requests. All Services Palermo is your Italian superyacht agent at your disposal 24/7 offering a full professional service throughout Italy and the Mediterranean. They specialise in Port Bookings, Documents/Clearance, VIP Chauffeur Service, Helicopters & Private Jet Hire, Hotel & Leisure Reservations, Provisioning, Technicians & Spare Parts, Bunkering and much more. They guarantee superyacht Captains and crew the certainty of trouble free yachting for their owners and guests, even with the most unusual last minute requests. 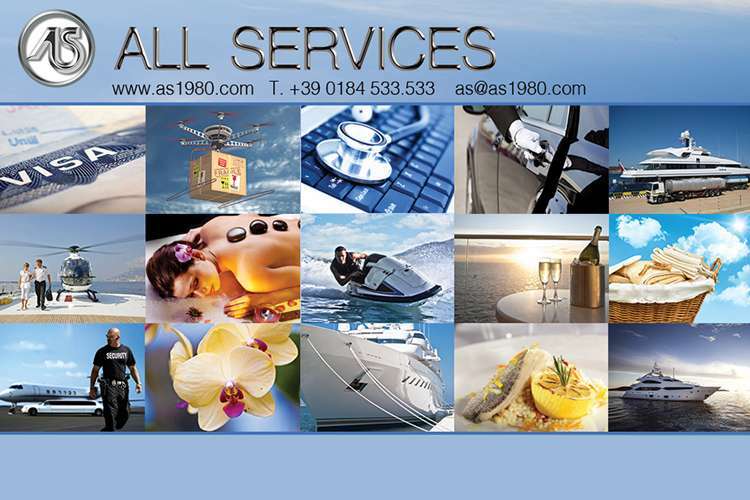 All Services Sardinia is your Italian superyacht Agent at your disposal 24/7 offering a full professional service throughout Italy and the Mediterranean. They specialise in Port Bookings, Documents/Clearance, VIP Chauffeur Service, Helicopters & Private Jet Hire, Hotel & Leisure Reservations, Provisioning, Technicians & Spare Parts, Bunkering and much more. 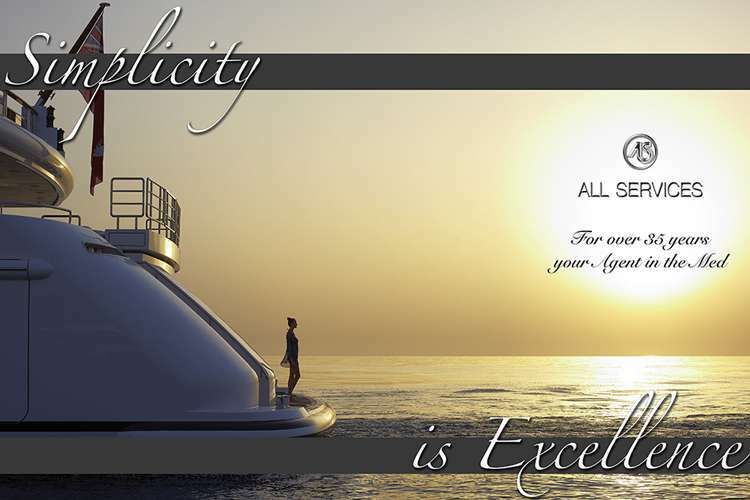 They guarantee superyacht Captains and crew the certainty of trouble free yachting for their owners and guests, even with the most unusual last minute requests. All Services Venice is your Italian superyacht Agent at your disposal 24/7 offering a full professional service throughout Italy and the Mediterranean. 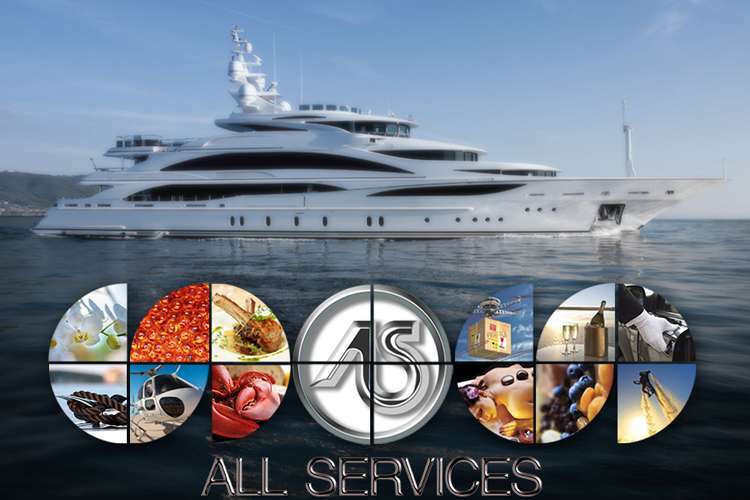 They specialise in Port Bookings, Documents/Clearance, VIP Chauffeur Service, Helicopters & Private Jet Hire, Hotel & Leisure Reservations, Provisioning, Technicians & Spare Parts, Bunkering and much more. 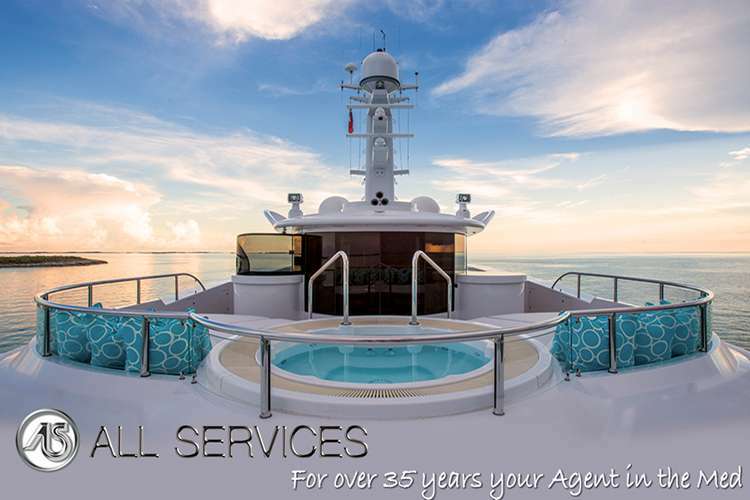 They guarantee superyacht Captains and crew the certainty of trouble free yachting for their owners and guests, even with the most unusual last minute requests.